Location, location, location and great curb appeal! In the City, yet feels like the country! 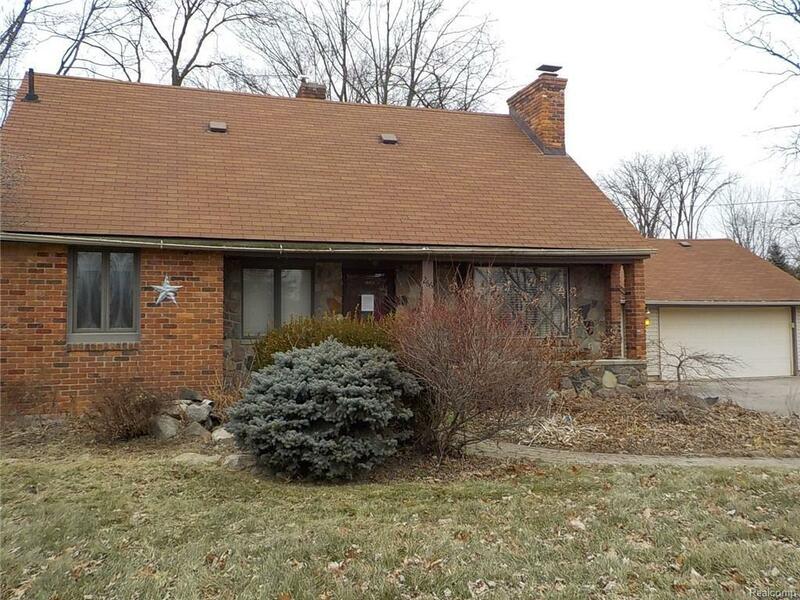 Home sits back off the road on a large lot that has plenty of mature trees! Front porch is covered! Living room is large and welcoming, with lots of windows and a fireplace for these cold winter evenings! Kitchen has lots of cabinets and counter space. Dining room has built in storage / buffet! Three nice size bedrooms all with great closet space. There is a full bath and three-quarter bath! First floor laundry! There is a two car attached garage! There is even a shed in the yard for additional storage. Close to all conveniences, this home is waiting for a new family! IDX provided courtesy of Realcomp II Ltd., via Changing Streets.Com and Realcomp, ©2019 Realcomp II Ltd. Shareholders.